Anyone who wants to be a mother anxiously awaits the day they find out they’re pregnant. 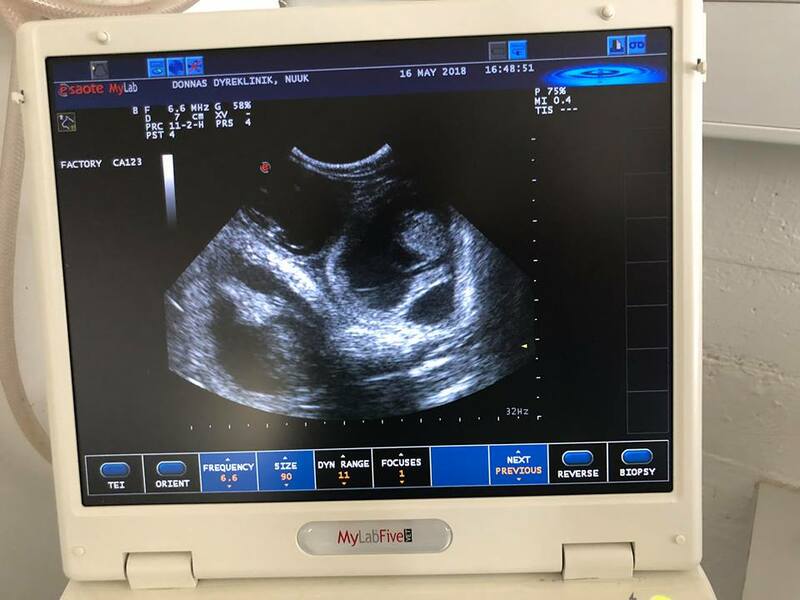 Whether happily squealing at an at-home test or smiling from ear to ear in the doctors office, all moms-to-be revel in the moment. 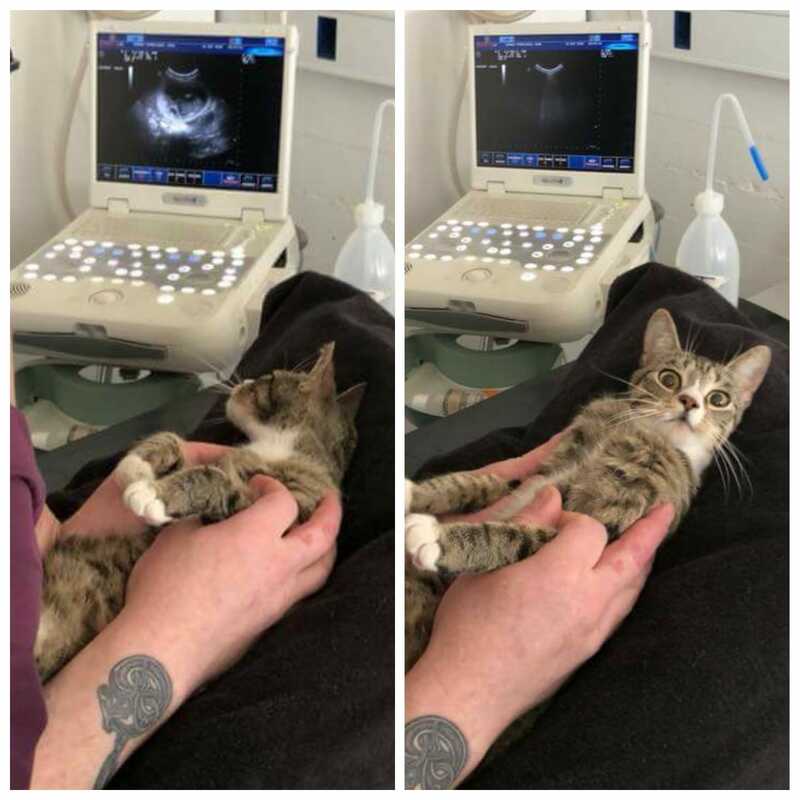 But did you know animals could have the same reaction? Well, just ask this cat and she’ll tell you. Yes! This is Ulla. 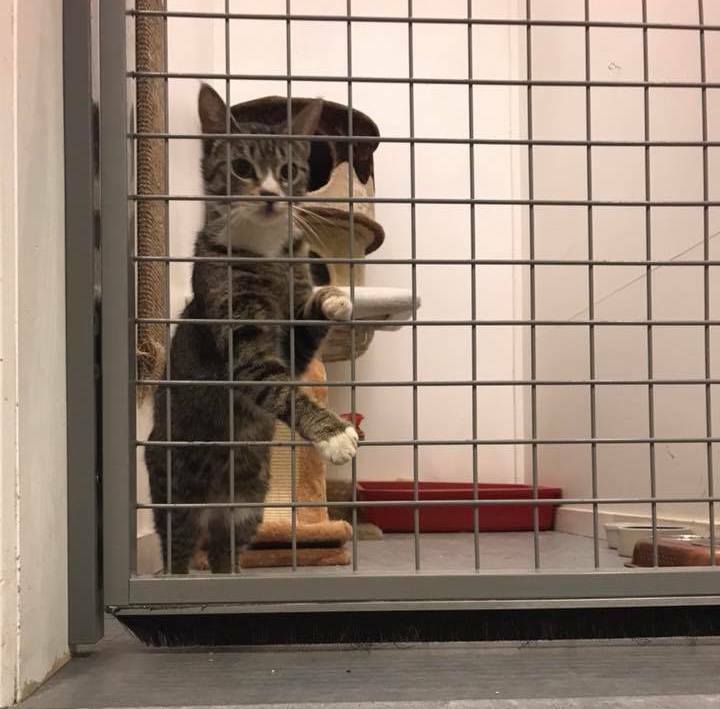 The Dyrenes Venner animal shelter in Nuuk, Greenland, recently opened a spot in their shelter for this adorable kitty for the second time in a year. She was adopted out previously but ended up back on their doorstep. They shared this image of the cat online but didn’t hear from anyone who wanted to claim her. 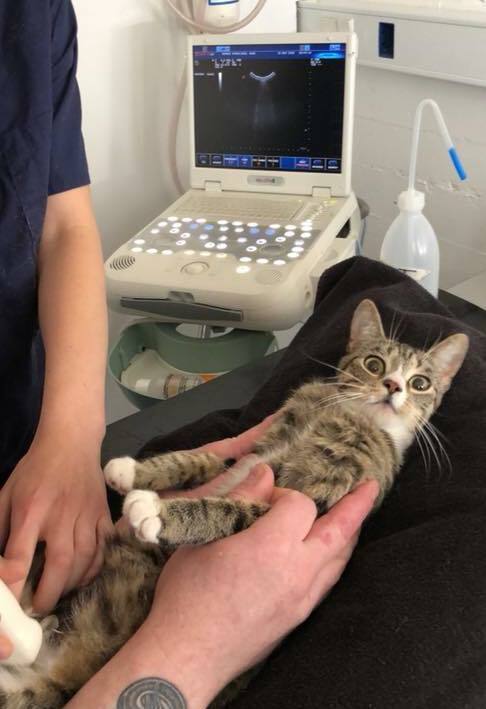 A month or so after she came in, the vet who tends to the shelter’s animals noticed she was getting a little, well, rotund. 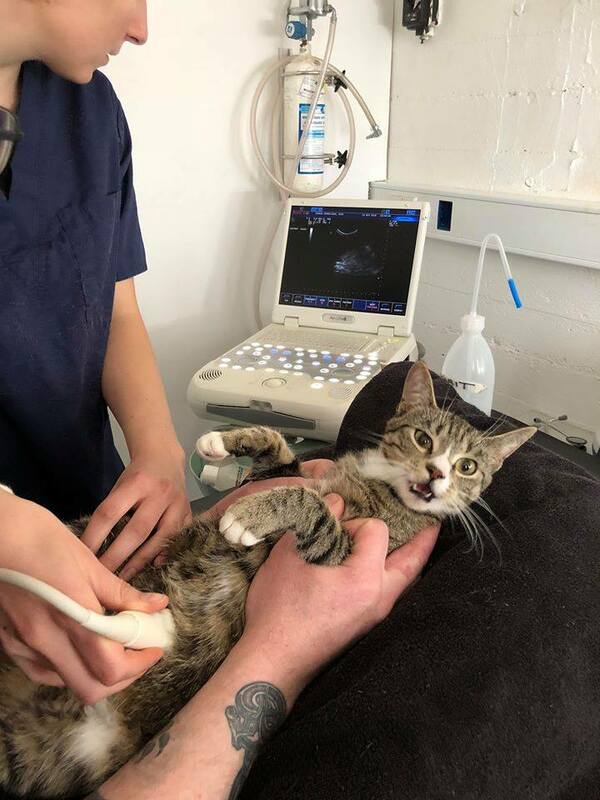 That’s when he decided to take an ultrasound. She wasn’t super excited about the idea of some strange man putting a weird device on her belly at first, but it was a necessary evil. And this confirmed it! She was pregnant and her reaction to the news was hilariously human. Check it out down below! The photo made its way to Reddit and went viral from there. She was memed and the rest, as they say, is history. How funny is that? 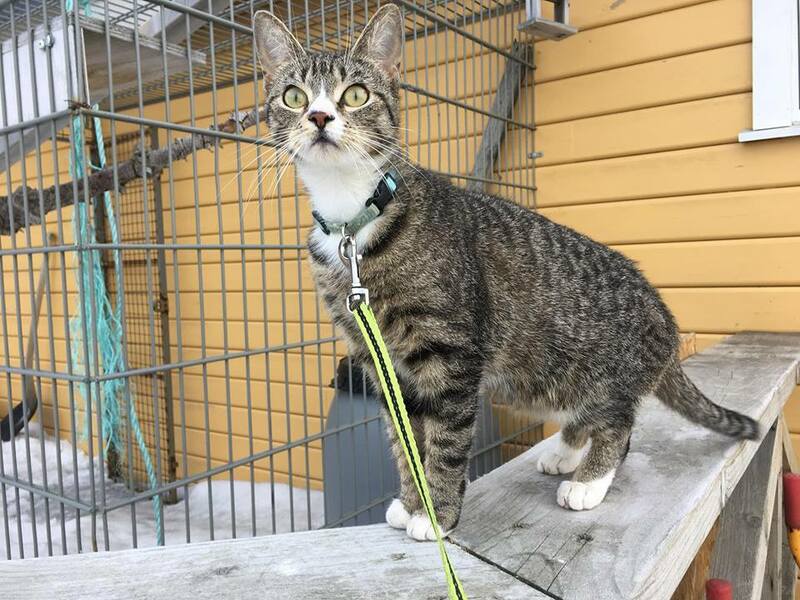 The good news is that Ulla will be spayed after the kitties are born and she’s already been adopted out to a forever home!